Puzzi 30/4 E 11011220 https://www.kaercher.com/tn/professional/carpet-cleaner/spray-extraction-machines/Puzzi-30-4-e-11011220.html The quietest wet vacuum of its kind: Puzzi 30/4 E with 66 dB(A). For cleaning larger carpets. Ergonomic upright concept. Integrated heating elements (optional fresh water tank heating). The quietest wet vacuum of its kind: Puzzi 30/4 E with 66 dB(A). For cleaning larger carpets. Ergonomic upright concept. Integrated heating elements (optional fresh water tank heating). The high-performance Puzzi 30/4 E spray extraction machine with just 66 dB(A) is the quietest wet vacuum cleaner of its kind. 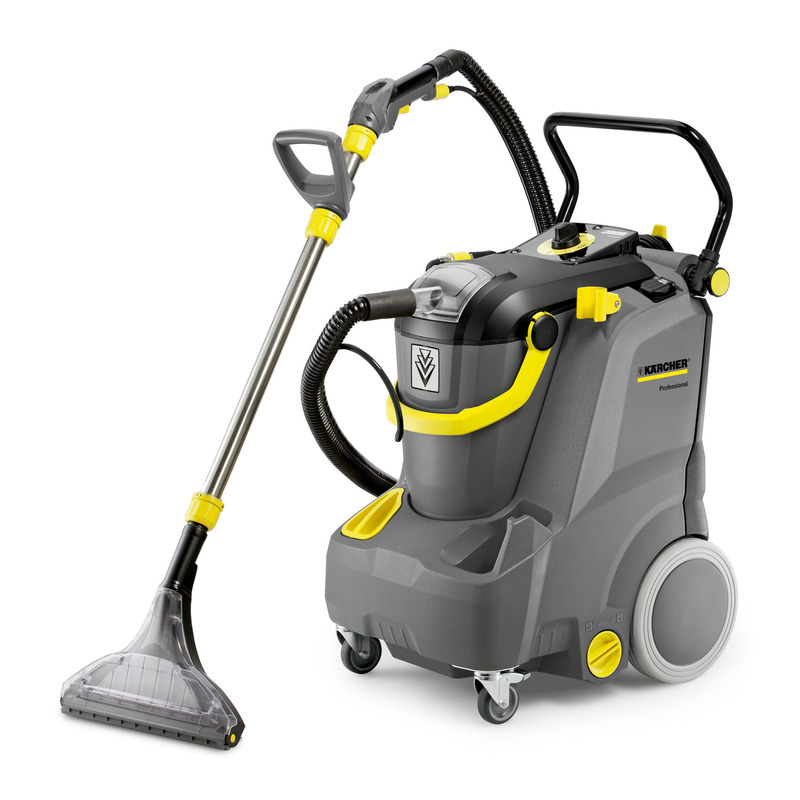 The machine is fitted with a 30-litre fresh water tank and allows uninterrupted cleaning of large areas. The area performance is even higher thanks to the integrated socket for the PW 30/1. The practical upright concept guarantees ergonomic and space-saving work despite large volumes. The machine features integrated heating elements for optional heating of the fresh water tank. This allows the fresh water to be kept at a constant temperature – for first-class cleaning results.